These are some points that stood out to me in panel discussion. It is not organized, but more of a blitz of phrases and talking points. Commercial producers want to see improved genetic merit for fertility. Commercial producers are also concerned about feet, but what is the science behind feet evaluation? Radakovich went through a sale catalog and picked out the bulls he wanted based on his ranch's selection criteria. He came home with zero bulls. Lead him to question what bulls did he need rather than the bulls he wanted. If my cow herd is not wrong, how much emphasis should be put on making them a small bit more right. What is the longivity of the bull's daughters but also what is the longevity of the bull? Does that bull come back in healthy the 3rd and 4th years? Mark Thallman pointed out that we not only need to cull the bottom end but we also need to apply selection pressure to move our herds and industry in the right direction more rapidly. By culling the bottom end are we going to get to the end point in 150 years? Perhaps we should put selection pressure on these traits. Donnell Brown describing genetics providers and solution providers. Are we worried about "genetic purity" or are we worried about the profit of our customers. 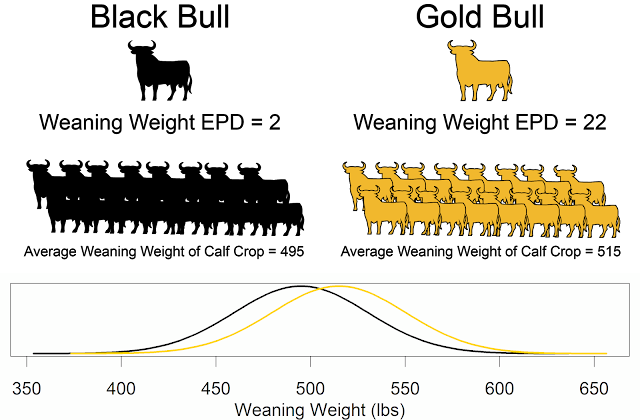 Instead of adding more and more feed, lets measure reproduction traits to enable genetic progress. Brown is concerned about continuing to measure traits to enable improvement of genomic tests. Brown states properly that we need to provide solutions by selecting on economic selection indexes that balance all important traits. Brown gets feedback from commercial producers that their weaning weights are not increasing. Some of this may be due to the limits of production environments. But, we also need to challenge our animals at the seedstock level to start to see more of the differences between animals. But, is the drop in weaning weights due to the lack of hybrid vigor and heterosis. Lorna Marshall points out that they have seen increased demand for other breeds as producers see the need to improve heterosis. Radakovich changed calving season which allowed him to drop his labor cost by 30%. But this also resulted in a 50 pound decrease in weaning weights. Should selection indexes be customized to the individual ranch? Brown: we need to continue to use indexes and put the important traits into them. Marshall: Commercial producers are not accepting that indexes work across environments, such as Florida vs Wyoming. Commercial producers also want across-breed indexes. Radakovich: we have all kinds of apps on our smart phones, can we create an app to help people use indexes that are specific to their situation? Marshall: Challenge- be in tune what the commercial industry needs. Provide them with solutions. Brown: Challenge- Will current prices bring new players into the industry and how will that affect the industry? Will the industry become more coordinated? 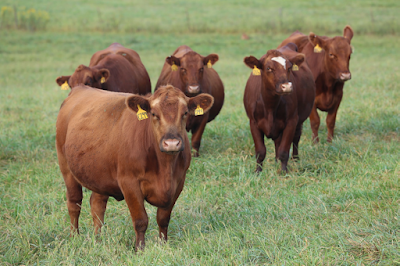 Need to select cattle that meet both cow-calf needs and production needs.